When you flip to the other side of the ball, the Panthers begin to shine. Their defense struggled at times last year, particularly the secondary, but came on during the second half. I think losing Greg Hardy in the beginning of the season forced the defense to go through a bit of a transition. They are far too talented to get beat like they did last year. After playing well the first two games in 2014, the Panthers gave up 37 to the Steelers, 38 to the Ravens, 37 to the Bengals, and 38 to the Packers. However, they finished their last 4 games by never giving up more than 17 points, and holding the Falcons to 3 in the last game of the season. Once, the secondary got ironed out, thanks to a few young players, the defense really started to round out. There are a few stars on this squad and a number of really good players, leaving no gaping holes. The Panthers ranked 10th in total yards allowed, 16th in rushing yards allowed, and 21st in total points allowed. This roster is simply too talented to repeat those numbers. I see the Panthers as easily a top 10 defense in 2015 with a chance at getting in the top 5. The Panthers have two young studs with the potential of being elite playing in the middle of their line, Star Lotulelei and Kawann Short. They were drafted in the 1st and 2nd rounds of the 2013 draft. They have both had good careers so far, and have the potential to end up elite. Short went in the second round and has tremendous size. He weighs about 300 lbs, and stands 6’3”. He has worked on his flaws and could easily step up as a top defensive tackle. Missing only 2 tackles against the run last year, Short finished 14th in Pro Football Focus’ stop percentage. He was also good at rushing the passer, and had 4 sacks, 6 hits, and 20 hurries. He finished as Pro Football Focus’ 9th best defensive tackle. Star Lotulelei has been excellent as well in his first two years. As good as Short has been, he was actually drafted ahead of him. He finished as the 22nd best defensive tackle according to Pro Football Focus. He performed well against the run, and was an efficient pass rusher. When rushing the quarterback, Lotulelei had 2 sacks, 3 hits, and 14 hurries. Against the run, he finished right behind Short. He missed 0 tackles, and had a stop percentage of 7.8 percent, good for 13th in the league. As good as these two players have been in the first couple of years, it wouldn’t be hard to imagine Lotulelei and Short taking the next step, and becoming the best 4-3 DT duo in the league. They are both highly talented and well rounded. Charles Johnson is a veteran and a big part of Caolina’s tremendous defensive line. He is an excellent pass rusher, contributing 8.5 sacks in 2014, 11 in 2013, 12.5 in 2012, 9 in 2011, and 11.5 in 2010. He was tied for second among all defensive ends with 53 hurries last year, 1 behind the almighty J.J. Watt. He isn’t nearly as effective against the run, but that can only pull down his value so far, when you consider him one of the best pass rushers in the game. Unfortunately, his counterpart, Wes Horton, isn’t nearly as talented in either aspect of the game. He drags this line down, finishing 2014 as the 49th 4-3 defensive end according to Pro Football Focus. Horton is awful as a pass rusher. He had 3 sacks and only 7 hurries. As an undrafted free agent, Horton’s ceiling was never particularly high, and will probably not finish the year as a starter. Even still, the line is excellent, with three really good players, two of which are young with even more potential. position, and 81 run stops, according to Pro Football Focus, which was first. He is quick and mobile, allowing him to play great pass coverage as well. There’s not another inside linebacker I’d rather have. Now, when picking an outside linebacker there are a few options, but you can’t really go wrong with Thomas Davis. Entering his age 32 season, Davis is still a beast. He is fantastic against the run and in coverage, while also being effective rushing the passer. Davis had 2 sacks, 4 hits, and 13 hurries. Like Kuechly, Davis is really good in coverage as well. He moves well, and allowed only 353 yards on 64 targets. Well rounded, Davis isn’t a liability against the run either. This guy has had an outstanding career and is still a beast. The Panthers took Shaq Thompson with their 1st pick, 25th overall. He wasn’t expected to go until the second or third round, and the early pick has been highly scrutinized. I think they could’ve done a lot better, but Thompson has grown on me a little bit. 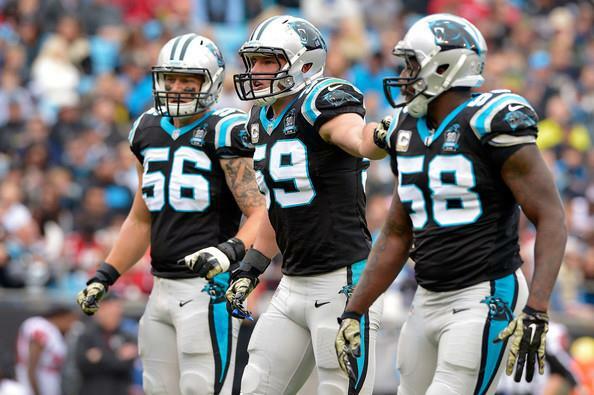 If he pans out, then the Panthers will have the best 4-3 linebacker crew in the game. He is a little small, but is incredibly versatile and agile. In fact, it’s possible his versatility worked against his profile a little bit. Many saw him as a safety. It makes it difficult to draft him so high, because some weren’t sure where he would fit. However, I think the Panthers saw something, and have been adept at drafting defensive players under Gettleman, so I won’t totally pan the pick. I still think they should’ve grabbed a wide receiver or offensive lineman here. The Panthers pass coverage is a little bit of an unknown and struggled at times last year, and I think he can provide a little assistance this year. He probably won’t be a good pass rusher, which is another area I feel the Panthers could do a little better in. The team also has A.J. Klein who could start over Shaq Thompson, and they drafted David Mayo in the fifth round. Mayo was good against the run in college, but probably won’t get much playing time for the Panthers. He will likely be relegated to special teams. A.J. Klein has been effective, and will keep the group stable in case Shaq isn’t ready for a lot of playing time this season. He might not be great, but won’t be a liability either. The Panthers’ secondary was a troublesome area last year, but really came together in the second half of the season. They finished 11th in the league, giving up 3645 yards. It would have been worse without their midseason adjustments. It’s important for the secondary to play well this year, so Kuechly and Davis can focus a little more on the run. The Panthers gave up 1792 rushing yards last season, which was 16th in the league. The year before, they finished second in that category. For the first half of the season, the Panthers were having to use Kuechly and Davis too often in coverage, instead of letting them focus on the run. While they are excellent in coverage, they can’t always be dropping back. The youngsters stepped up over the second half, and if they can continue that good work, I expect this defense to return closer to their 2013 form. Let’s start with Bene Benwikere, who was drafted in the fifth round of the 2014 draft. He has decent size and good vertical, but lacks a little strength and elite speed. That being said, when he took over the starting gig in week 13 he performed well. He ranked as the 18th best corner according to Pro Football Focus. He was average against the run, but really shined in coverage. Quarterbacks had a rating of 72.9 when throwing into his coverage. That number is good for 14th in the league, just behind Darrelle Revis. If he can build on, or even maintain, his success, then he will be very valuable for the Panthers, and possibly a star at his position. However, he has seen limited playing time, so it’s possible he could struggle ahead. Josh Norman was another nice development for the Panthers. He came out of Coastal Carolina and was drafted in 2012 in the fifth round. He was said to be a good pick, who would need time to grow into the league, because he came from a smaller school. He has the size, standing 6’. Norman isn’t incredibly fast, but definitely has enough to get the job done. He seems to have made the adjustment, after getting very limited playing time in 2013. Quarterbacks were held to a 53.2 rating when throwing towards Norman, good for 6th in the league. He had 2 interceptions, and held some good receivers to pretty limited performances. He held Julio Jones to 117 yards in 2 games, Mike Evans to 2 receptions and 13 yards, and Josh Gordon to 4 receptions and 48 yards. He also allowed only 46.6 percentage of passes to be completed when thrown at. Norman wasn’t as sharp against the run, but did have 36 tackles and 11 stops. Charles Tillman will join the Panthers, as one of their few free agent pickups. He is a substantial injury risk, as he has played only ten games in the last two years. Tillman played his whole career with the Bears, and is entering his age 34 season. He has been excellent as long as he is healthy, and ranked as the 3rd best cornerback as recently as 2012, his last full season. If he is healthy, he should help, and bring some veteran leadership. Since, he’s getting older, I don’t think he’ll be returning to his Pro Bowl days, but should be a solid addition with nice upside. 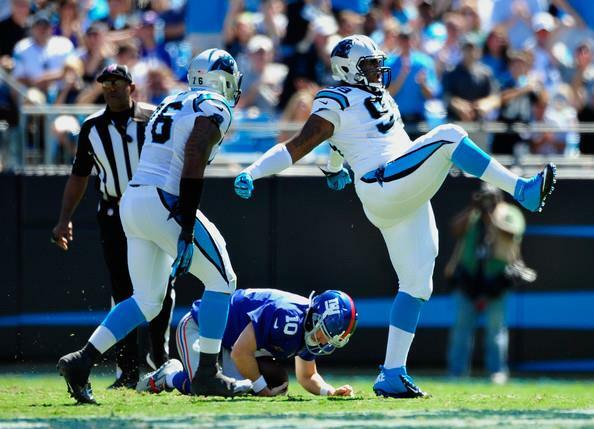 The outlook for the Panthers at safety isn’t as positive as the cornerbacks. Tre Boston was the best they had to offer, playing free safety. Like many of the corners for the Panthers, he came on late in the season. Boston was drafted in the fourth round for the Panthers. He wasn’t hailed as a high upside player, but seemed to do well in his limited time. Boston was said to have average athleticism and range. He ran the 40 in 4.59, which is decent enough, and stands 6’ tall. He also was a top performer in the bench press and 3 cone drill for safeties, so maybe his altheticism was underrated. Good both in coverage and against the run, he also showcased some big play ability. He returned a Matt Ryan touchdown for 84 yards, and had an interception against the Cardinals in the postseason. Boston missed only one tackle on the year, albeit in limited time. He should solidify the position this year. He likely won’t dominate, but shouldn’t get torched out there either. At strong safety, the Panthers don’t seem to have a good option. It is arguably their weakest defensive position, other than defensive right end. However, having only two truly soft spots speaks to the talent of this defense. Roman Harper will likely start at strong safety, and hasn’t really played well for a few years now. 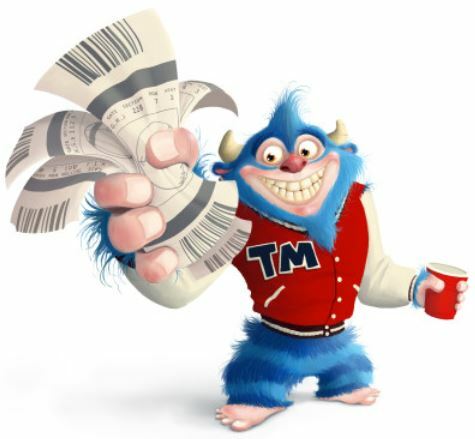 He graded out a little better last year, but probably won’t bring much to the table. He is a veteran, playing most of his career with the Saints. Supposedly, he brought that veteran leadership to the Panthers secondary last year, and was a big help to the youngsters. He won’t be awful, but will probably help more off the field than on it. Robert Lester and Colin Jones provide depth, but aren’t expected to do much. Lester was a decent prospect coming out of Alabama in 2013 and is the more intriguing of the two. He went undrafted, but signed with the Panthers. He played alright in his first season, but received limited playing time last year. He has had trouble staying on the active roster, but with their lack of effective options, its possible he makes an impact this year, but it’s pretty doubtful. 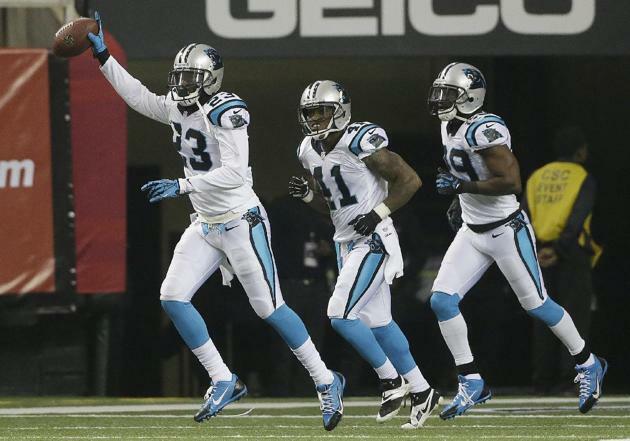 The Panthers better hope that the adjustments they made last year to their secondary stick. It certainly is one of their more uncertain areas, and could cripple their contention chances. However, I think with the addition of Tillman, and the emergence of Benwikere, Norman, and Boston they will play well. The young kids came on strong once they received regular playing time, and I expect to see much more of the Panther’s second half defense than the first. The Panthers are coming into the season as the only back to back NFC South division winners, and will be vying for a threepeat. And I don’t see anyone unseating them in a pretty weak division. All the teams in the division will be improved, but the Panthers play will make the largest leap, because they made good adjustments, developed their talent, and had played below their level in 2014. I don’t see any big holes on the defense, and the offense should be effective enough, with the ever present possibility that Newton figures things out and takes them to the next level. It should be more likely for him this year, with the addition of rookie WR Funchess. I don’t necessarily expect that to happen, but he is certainly talented enough, and they have been doing fine with his current level of performance. The Panthers seemed to fix their only problem on defense, the secondary, in the second half of the 2014 season. It wasn’t as though they got absurd performances from a bunch of nobody’s either. The players that elevated their play were young players doing what was expected of them. They have an incredible front seven with two of the best linebackers in the game, who should have even more freedom bringing pressure with the improved secondary. Even with the worst case scenario where the offensive line falls apart and the improved secondary turns out being a fluke, I still think they could stay relatively competitive. The Carolina Panthers will surely encounter a few problems, since their run game and line are suspect, but they will go 10-6 and win the division for the third year in a row.